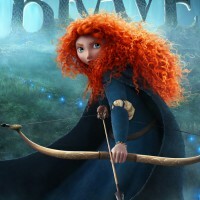 “Brave” will debut the movie series at sunset on July 26, followed by “Mickey Matson” on Aug. 2 and “Oz” on Aug. 16. 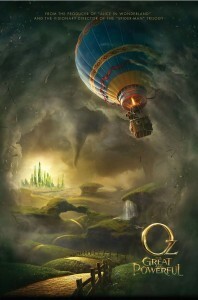 Both “Brave” and “Oz” are Disney productions that were shown in theaters in 2012. “The Adventures of Mickey Matson and the Copperhead Treasure” was written and directed by Harold Cronk of Amber Township and produced by Scottville native Edgar Struble. It was filmed completely in Mason and Manistee counties in 2011. The movie was originally titled “Mickey Matson and the Copperhead Conspiracy.” It debuted regionally last spring in Grand Rapids. Since that time, Cronk has been working on getting the movie distributed. Recently, Wal-Mart has picked it up for exclusive distribution through the summer. Both Cronk and Struble are graduates of Mason County Central High School. The movie was produced by 10 West Studios of Manistee, which Cronk is a partner of, and also EMC Productions, which is jointly owned by Cronk and Struble. Both companies are sponsoring the Aug. 2 presentation. The band shell committee is planning on having pre-movie entertainment on the shell as well. The Scottville Optimist Club will be selling refreshments and free-will donations will be requested. Anyone wishing to make a donation for movie nights, may send their tax deductible donation to Scottville Clown Band, 405 N. Main St., Scottville, MI 49454. Please note “movies” in memo.